The little man with the beard stood with his hands on his hips, as 60,000 voices screamed at him and twirled their scarves in fury. 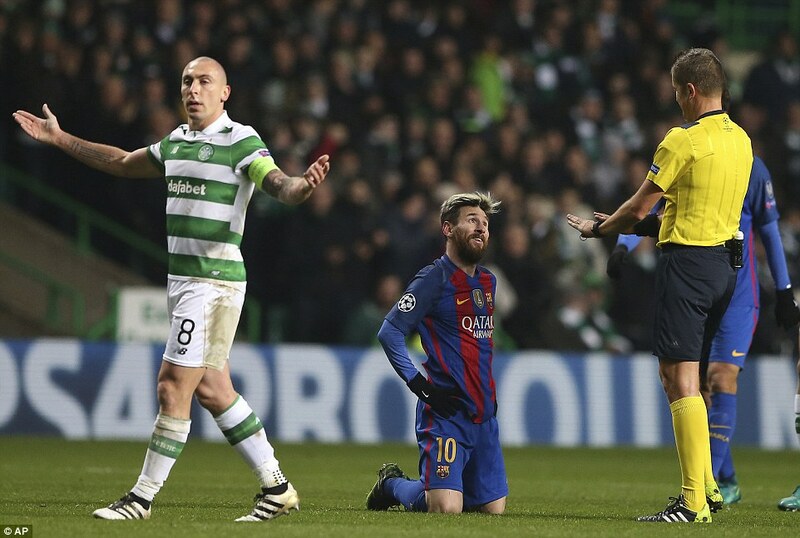 Lionel Messi, however, was not in the least bit bothered about the scrutiny after Barcelona had been awarded a chance to settle this contest. 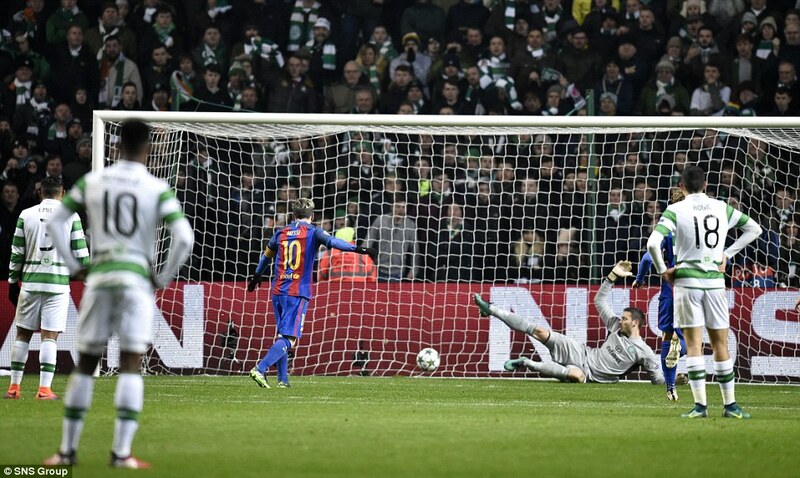 He gave the impression this was a like a training game and nonchalantly clipped his penalty past Craig Gordon. And then there was silence. 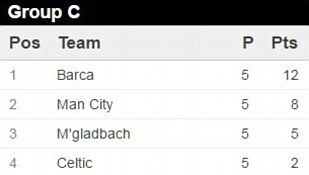 CELTIC (4-2-3-1): Gordon 7; Lustig 6, Simunovic 6, Sviatchenko 6, Izaguirre 5; Armstrong 6, Brown 7; McGregor 6 (Roberts 72), Rogic 6 (Bitton 64), Sinclair 6.5 (Forrest 45); Dembele 6. Subs not used: De Vries, Toure, Gamboa, Henderson. 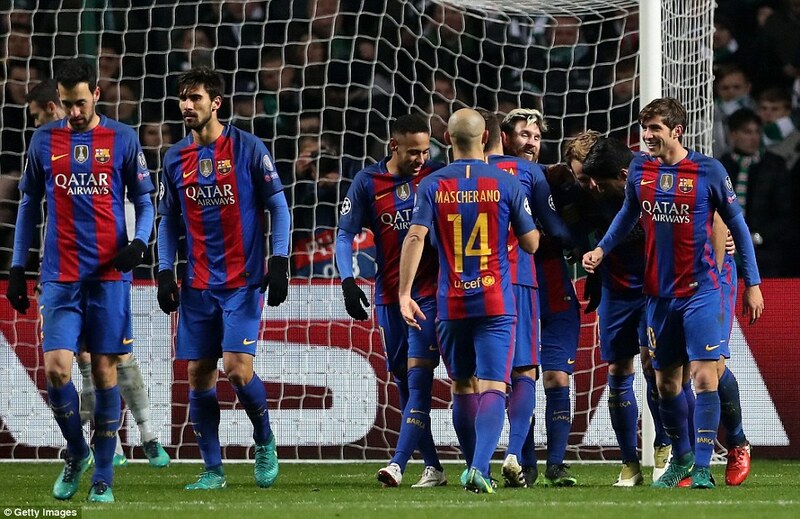 BARCELONA (4-3-3): Ter Stegen 6; Roberto 7, Pique 7 (Marlon 72), Mascherano 8, Alba 7 (Digne 66); Rakitic 7, Busquets 7, Gomes 7; Messi 9, L Suarez 7, Neymar 7 (Turan 77). Subs not used: Cillessen, D Suarez, Rafinha, Alcacer. Scorers: Messi (24, 55 pen). Booked: Roberto, Alba, Rakitic, Neymar. Referee: Daniele Orsato (Italy) 7. Man of the Match: Lionel Messi. We knew Messi’s left foot had many magical qualities but now it seems to come with a mute button. 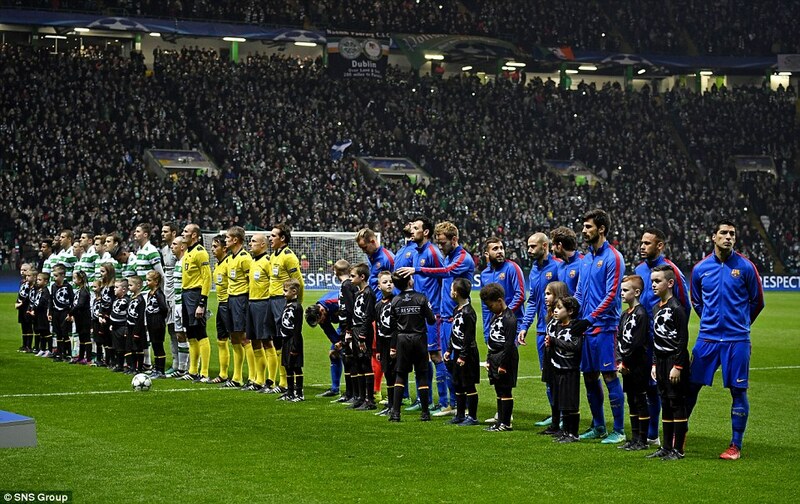 Every time he got possession in this Champions League contest, a hush descended over Parkhead in dreaded anticipation. Here was another night when he played a different game to those around him. Brendan Rodgers had tapped into the emotions of supporters in his programme notes, imploring them to be ‘an integral part of the experience’ and they listened to his plea, creating a cacophony before that would have twisted the minds of many visiting teams. 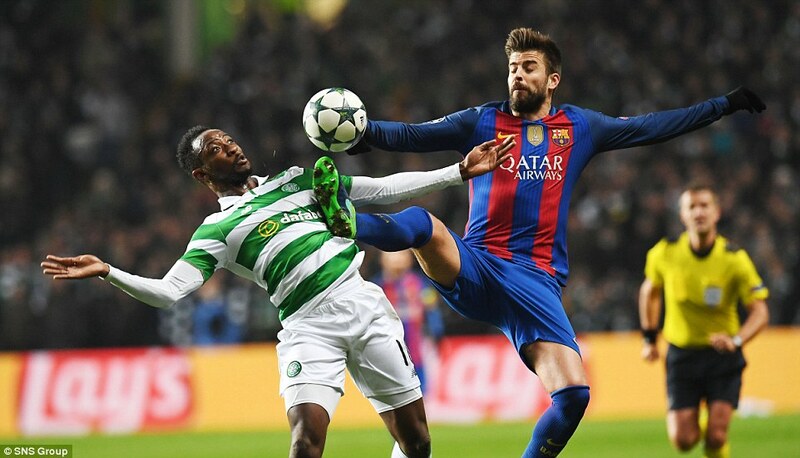 This, though, is Barcelona and it takes more than noise to knock them out of their elegant, seamless stride; not even the scampering, snarling presence of captain Scott Brown – who flattened Sergio Busquets, Messi and Neymar in the space of four minutes – could blow their house down. 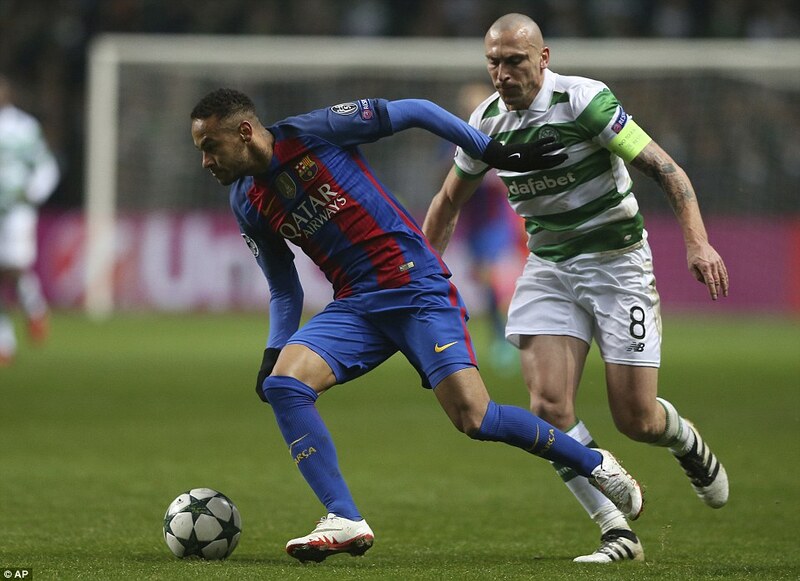 To stand any chance, Celtic were going to have to score first but they had one major problem: they couldn’t get the ball back off Barcelona. No matter how fast they chased, no matter how many of them formed packs to hunt, they were always one step behind. 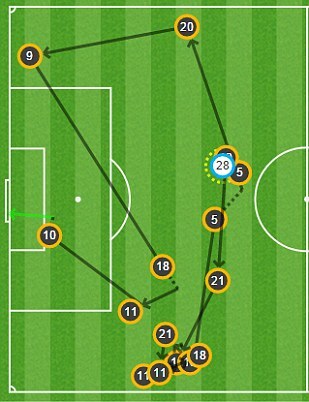 Nothing illustrated that point more than the move which led to the deadlock being broken. 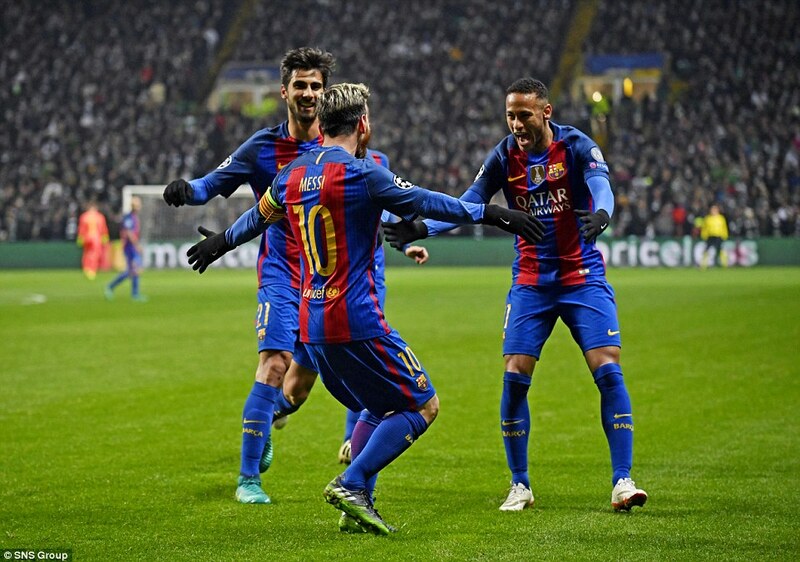 Neymar, Andre Gomes and Jordi Alba began passing in a triangle on the left, ramping up the tempo to leave their pursuers dizzy, before Neymar clipped an exquisite ball into Messi’s path. 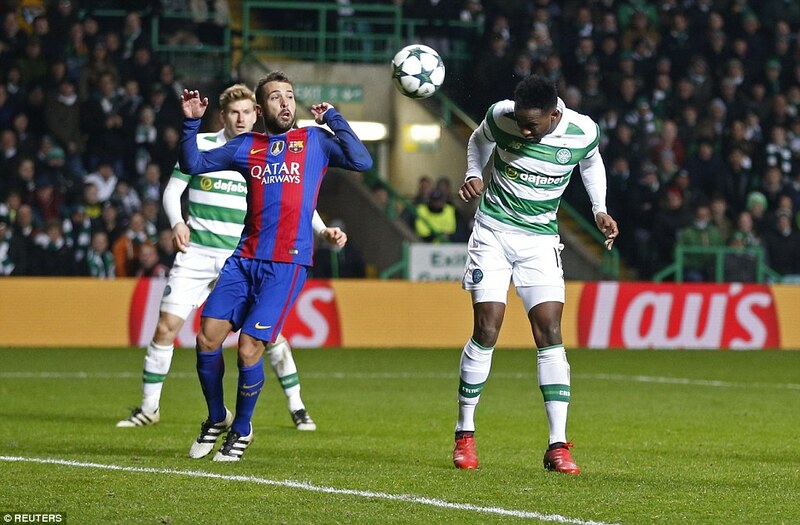 The finish was typically glorious, swatted left footed inside the near post; it was goal number 53 of 2016, a haul that has come in 57 matches. Don’t ever become immune to those statistics because this truly is a player we will never see the like of again. 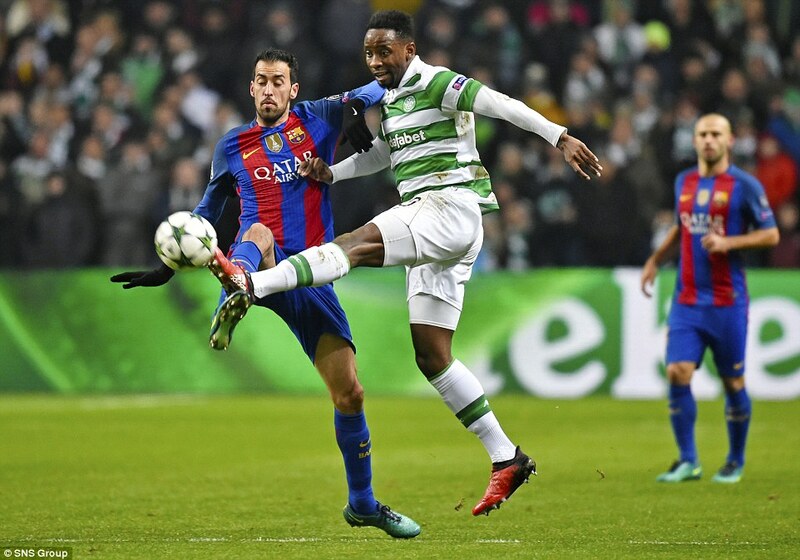 Barcelona should have settled things before the interval but a magnificent save from Craig Gordon thwarted Luis Suarez as he flung himself to get on the end of a Messi cross. No matter. 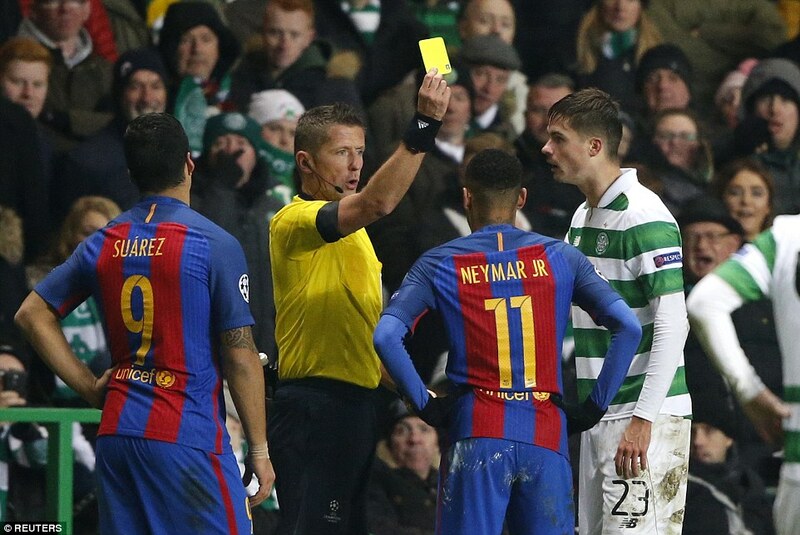 Celtic were limited and it was a question of when rather than if their exalted hosts would finish the job. 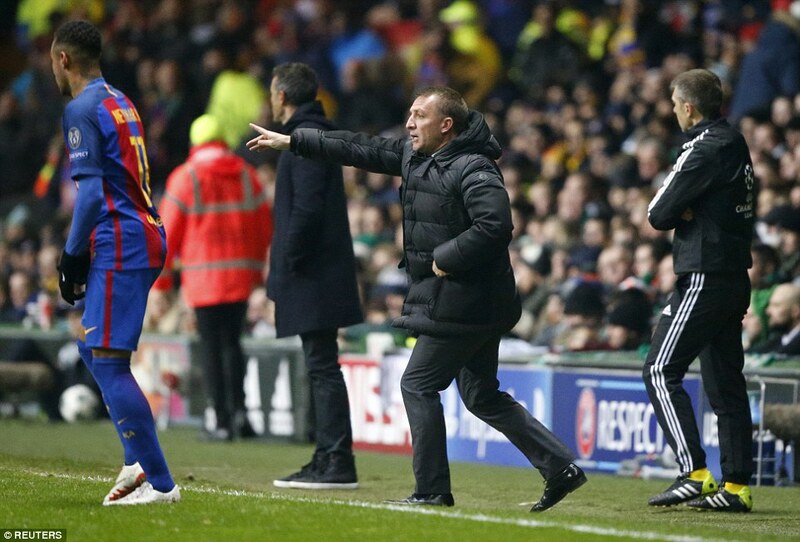 That moment arrived on the hour after Suarez had been wrestled to the ground by Emilio Izguirre. 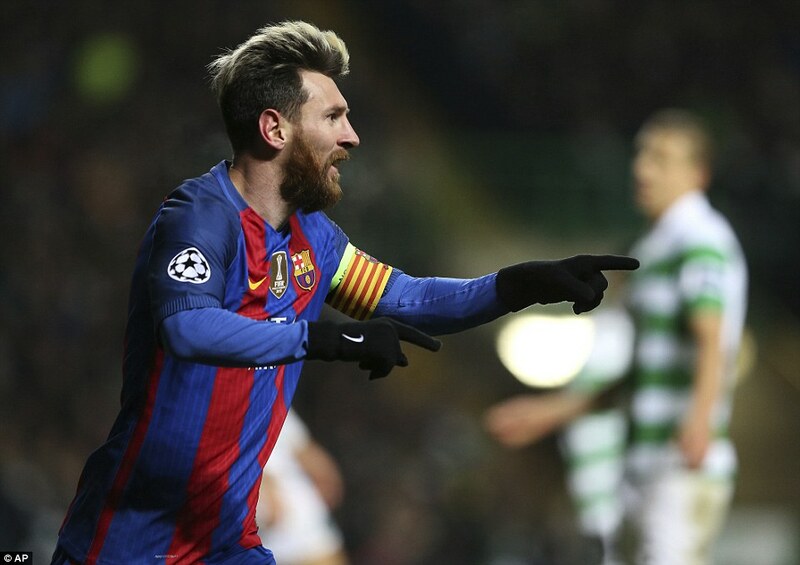 It was a certain penalty and Messi ensured it was a certain goal, no matter how hard they home fans tried to unnerve him. When he is in this mood, nothing will stop him.